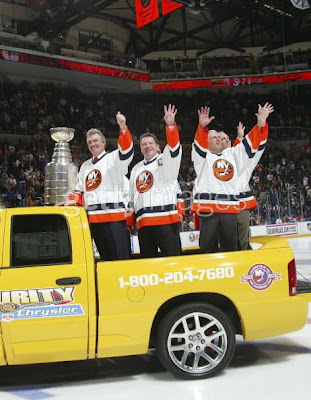 It all began at a place called yahoo with New York Islanders @ one-list back on October 7th 1999, our first post was Mark Lawrence takes questions from Islander fans. Today after almost ten full years it all comes to an end with the closing of New York Islander Fan Central after two thousand plus entries since late July 2007. I did my absolute best and feel this is the right time to stop. From July 2007 NYIFC had something from every preseason game to the finale with articles and updates year-round. I took a great deal of pride in doing this and depart at this time knowing I have done everything I could. 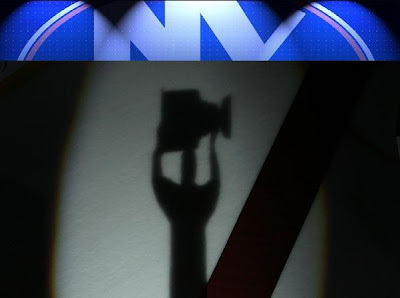 I'm very proud of New York Islander Fan Central but the credit for it's success goes to you. All of you kept me going with your support on a lot of days I did not wish to write anything or after a tough game or one I was simply tired but it was very important to me that I did not let folks down who wanted to read about the game or the articles/personal contribution. I had a great time writing NYIFC and I will miss it a lot. I depart with a life-time of great memories looking back. Only regret is we did not bring the Stanley Cup home together here. I will always be a New York Islander Fan. I have no doubt our hockey team will be very good again very soon, the quality of the talent in the system and prospect depth is excellent and only getting better, but I know you have read that before. If our team can finally stay healthy, add some NHL scoring depth as young players start producing even more this franchise will turn many of those thirty two one goal losses last season into wins as soon as next year. My Thanks again to the New York Islanders organization and everyone behind the scenes for being first-class both seasons with NYIFC and congratulations to Mr Botta for such a great job not only for his outstanding Point Blank Blog the last two years but for the twenty plus years he gave the New York Islanders organization. I sincerely hope Mr Wang/Rechler do get the Lighthouse approved because no owner has done more for this franchise in it's history and it's a beautiful vision. Congratulations to everyone who writes blogs on the New York Islanders from those in the current blog box program, who worked so very hard for our fans again this season to everyone writing for their dedication and commitment to our team. My Thanks to the media who have reached out and contacted me from Kevin Allen, Dan Martin, Peter Botte, Elliot Olshansky among several including our own legendary Hall of Famer Jiggs McDonald for his gracious and unexpected very kind note when he returned home, who in my estimation this franchise cannot honor in their Islander Hall of Fame soon enough. My Thanks also to Alex and Steve from Hockey Night on LI who do an outstanding Blog Talk radio program and during the first year IslesNation with Tony Stabile and Steven Herrmann for inviting me as a guest on countless occasions. Finally, I would like to thank all of you who stopped by and paid a visited or for your kind e-mails/responses not only here but everywhere for the last ten years. It's been an amazing ride.